ASAP’s mission is to help local farms thrive, link farmers to markets and supporters, and build healthy communities through connections to local food. Our vision is of strong farms, thriving local food economies, and healthy communities where farming is valued as central to our heritage and our future. Online Local Food GuideGet connected with healthy, fresh food; the farmers who grow it; and the markets, grocers, and restaurants committed to using locally grown products. 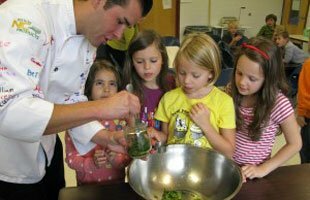 Growing Minds Farm to School ProgramLearn about ASAP’s holistic Farm to School program that incorporates four components: school gardens, local food cooking classes and demonstrations, farm field trips, and the serving of local food in school cafeterias. AboutOur mission, vision, team, and more. ResourcesFor building a better local food movement. Consulting & ResearchLearn about our services. EventsFor farmers and local food enthusiasts. Find Local FoodYour way to the freshest food around. Support and VolunteerASAP and the local food movement. Contact ASAP to learn how you can get involved in the local food movement! Get directions to ASAP’s office. 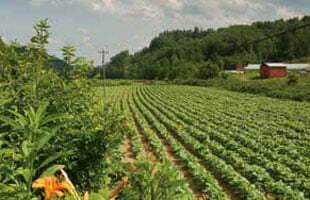 Learn about the work of our Local Food Research Center. Visit growing-minds.org to learn about ASAP's Farm to School program! ASAP needs your support so that we can help local farms thrive, link farmers to markets and supporters, and build healthy communities through connections to local food. Learn how your contribution helps sustain ASAP and the region's thriving local food scene. ©2019 ASAP (Appalachian Sustainable Agriculture Project) | ASAP is a 501(c)(3) nonprofit organization.